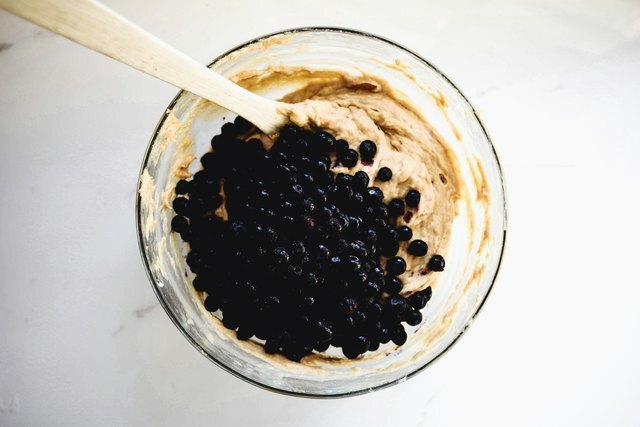 If you're interested in making muffins without eggs (for whatever your reason), you're in luck because you've just stumbled upon a recipe you'll love. 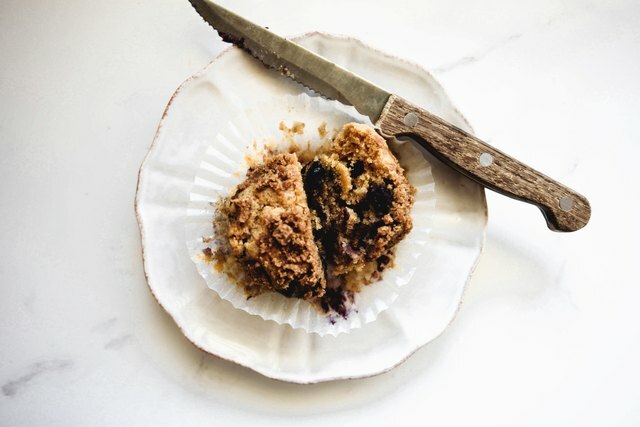 These home-baked treats feature the tart flavor of blueberries, the sweet flavor of banana, and the delicious crunch of a spiced streusel topping. 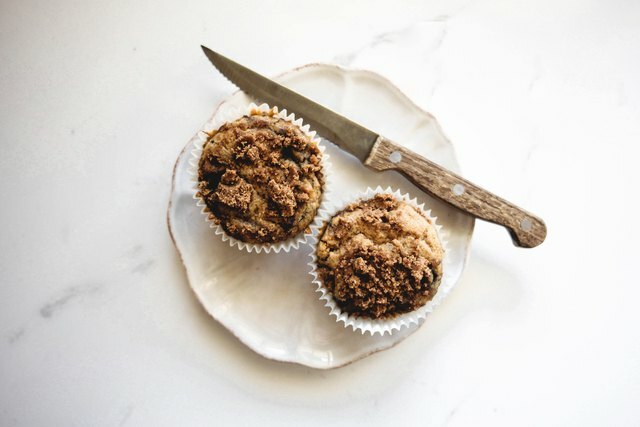 So moist and delicious, you never would know that these muffins are missing eggs! Preheat the oven to 180 Celsius / 350 Fahrenheit. 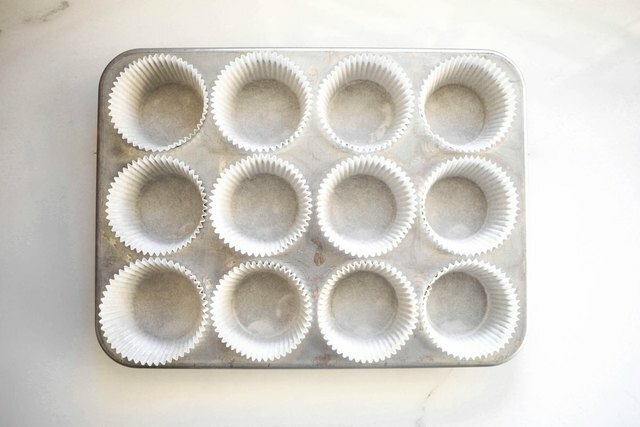 Line two 12-hole muffin trays with paper liners. Set aside. 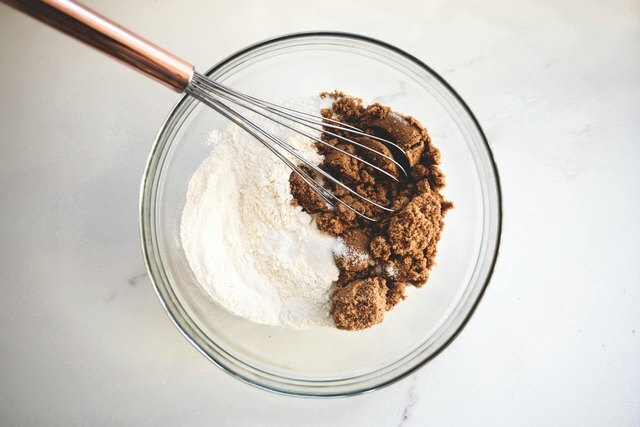 In a small bowl, whisk with a fork to combine the plain flour, cinnamon, 6 tablespoons of the sugar and 1/2 teaspoon of the salt. 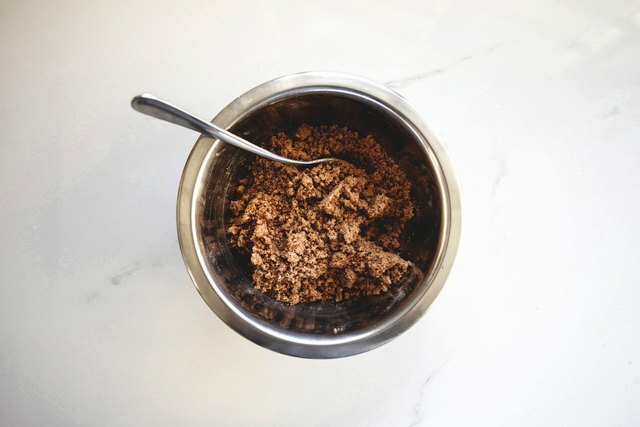 Pour in 6 tablespoons of the melted butter and continue to whisk until the mixture forms a rough crumble like texture. Set aside. 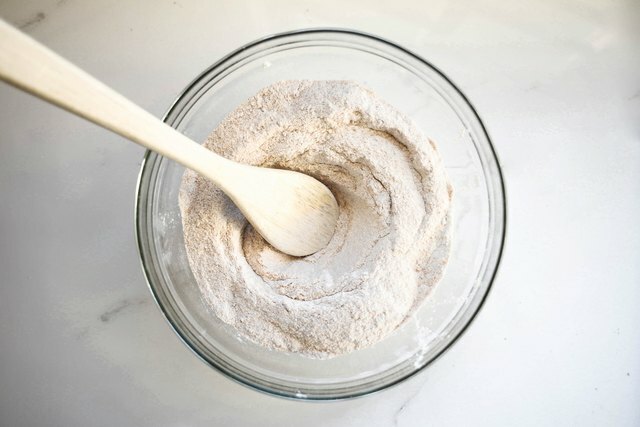 In a large mixing bowl, whisk together the self-rising flour, remaining sugar, baking soda and remaining salt. 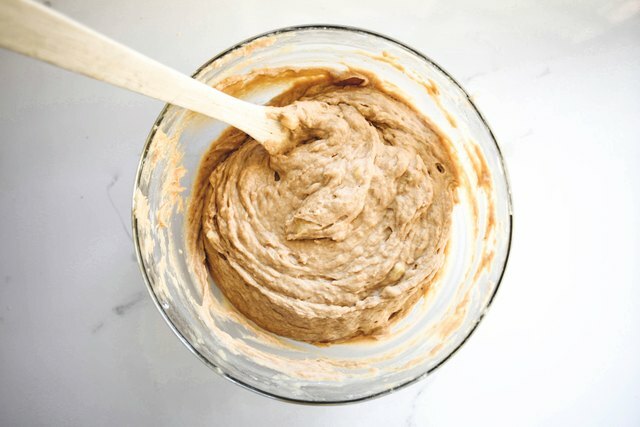 In a separate medium-sized mixing bowl, whisk together the melted butter, Greek yogurt, mashed bananas, vinegar and vanilla extract. 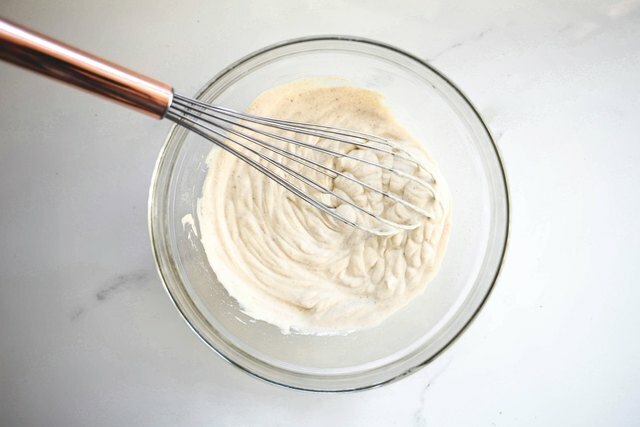 Whisk until smooth and evenly combined. Pour the liquid ingredients into the center of the dry ingredients. Use a wooden spoon to fold the ingredients into each other until they are just combined, with some banana chunks running through it. 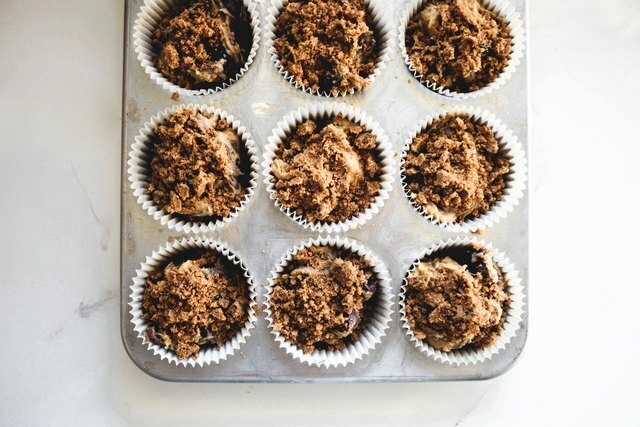 Divide the mixture evenly between the paper liners, filling the liners no more than two-thirds full, and then top with the streusel. Bake for 25 to 28 minutes, or until golden brown and a skewer inserted into the center of the cakes comes out clean. Let the muffins cool in their pans for 10 minutes before turning out onto a wire rack to let cool completely. 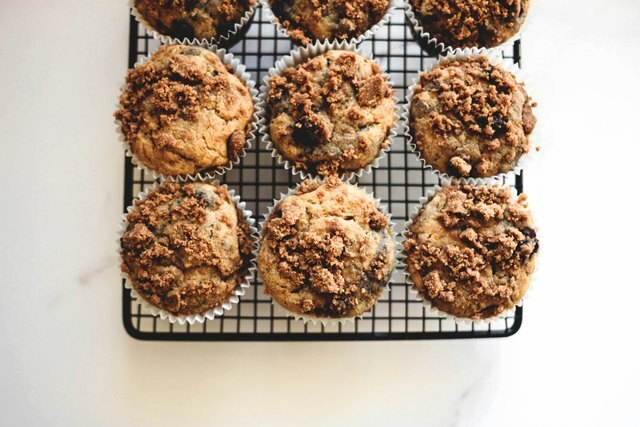 The muffins are best eaten warm on the day of making. They can be kept stored in an airtight container at room temperature for up to 3 days. 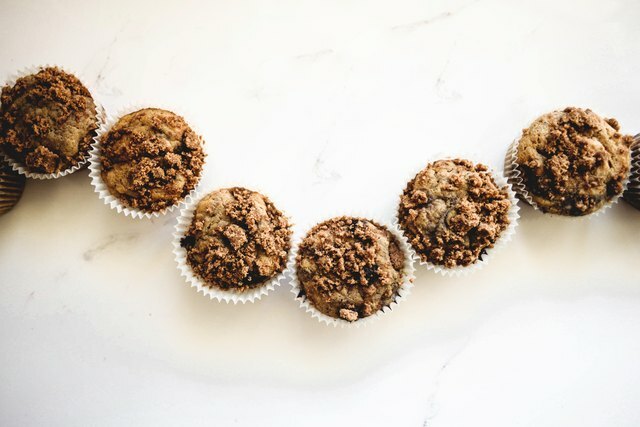 You can also freeze the muffins for up to 1 month.